On February 15, 1898, the United States battleship, the USS Maine was anchored in Havana, Cuba’s harbor when it exploded, killing 260 sailors. 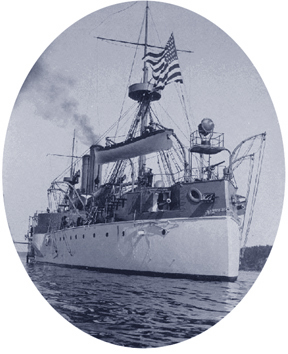 The Maine had been sent to Cuba by President William McKinley to protect American interests in the midst of an unstable situation: the Cuban revolt against Spanish rule. The sinking of the Maine was blamed on a Spanish mine, and seen as an aggressive move by the Spaniards towards the U.S., although Spain claimed it was not the case. What was already a volatile situation escalated until Congress declared war on Spain three months later. Over the summer of 1898, the U.S. military gained control of Spanish interests in Cuba and in the south Pacific. By August, the war had been fought, and the last of the Spanish empire’s influence as a world power was gone. It all started when an already volatile situation became explosive with the sinking of the Maine. We also are sitting in a very volatile business environment in 2012. It was reported this week that gasoline prices are expected to go well beyond the $4 per gallon mark this summer, and possibly top their highest marks ever in the U.S. market. The European financial crisis, with its epicenter in Greece, has world markets in flux. On top of this, it is an election year in which unemployment and uncontrolled federal spending have both sides of the political spectrum pointing fingers at each other. One protest group organizes around the need to control governmental spending. The other protest group organizes around the hatred of the fat cats of business who won’t turn loose of their piles of cash to help the less fortunate (namely, the protesters.) How does one go about business as usual when it feels like the next little thing will light the fuse that blows the boat out of the water? Business as usual will not survive. The unrest in the world will result in change of some kind and it will impact your business. It probably already has. But how much more change will be required to survive? When the recession of 2008 became more than just political rhetoric, everyone had hoped it would be a small blip on the corporate financial statement for a quarter or so. It was not. Big businesses were in trouble. Banking crisis, auto manufacturing crisis, double digit unemployment, sluggish home sales, rising energy costs… what are the results? We are sitting four years into an economic slowdown that can’t seem to get back up off the mat. In your business, you have more than likely gone through some or all of the following routine. You cut costs by doing away with anything that was deemed expendable. That includes unnecessary expenditures and the layoff of employees. It also includes freezing wages or asking employees to take a cut in pay and/or benefits. It means executives were let go and not replaced. Departments were merged with others to reduce overhead expenses. You may have even shed divisions of your business. At best, they were sold. At worst, they were just closed. Trusted vendors began to go out of business. How does a business survive in such volatile times? In days like these, you must be very smart about your marketing strategy. Market your business services on a sustenance level. Get rid of the fluff and get down to the bottom line. How do you make your customers better? How do you open new markets for them? How do you help them do things cheaper, faster, or more efficiently? You must show your worth. Fluff will not survive. When the ship starts to sink, it is time for the life preservers not deck chairs. 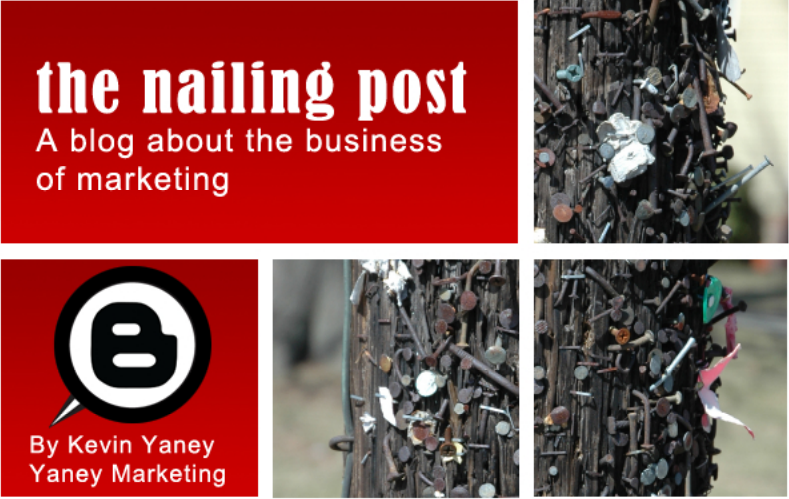 Make sure your marketing message is relevant to the times in which we live. Know your customers very well. Keep your ear to the ground. Understand what their needs truly are and where the pain points are occurring in their business. In the times in which we are conducting business, now is the time to stand out from your competition. You have to do the extras the others won’t do. Put yourself in your customer’s shoes. Are there areas where they are lacking due to cutbacks? Can you help them without incurring big risks or over-the-top expenses for your business? Several years ago I worked for a printing facility that was caught in the midst of a switch to digital formats. Part of my job was to secure a new digital output device that we used to make printing plates. In negotiating prices, one film supplier came to us with an innovative idea. They would give us the equipment we needed if we signed a three year deal to purchase film exclusively from them. They, in turn, leased the equipment from the manufacturer and sold us the film. It was a creative way to get our business because it solved a larger problem. In today’s environment, customers are looking for the contract that takes care of them beyond your normal products and services. But if you can supply the contract, you may just lock up the business for an extended period of time. Are there markets you have overlooked or simply ignored in the past? For instance, you may be a business that deals only with the for-profit world. However, there are a lot of non-profits that may need your products or services. Is there a way to open up a new market to the non-profits? Talk to people who are in the non-profit world. Use your network to get in front of them. This will take some creativity on your part, but you may find a new niche segment by talking to some key players in new business arenas. It should be noted that in 1976 there was an investigation of the explosion of the USS Maine. In his book, How the Battleship Maine Was Destroyed, Admiral Hyman Rickover reported that it was not a mine, but likely an internal fire that spread to the ammunition bunker that sank the Maine. It blew up from the inside out. The boat’s sinking had nothing to do with the Spanish hostility at all, but it was the impetus for war nonetheless. We are living in volatile times just like 1898. Any little tidbit of bad news can have an enormous impact on our shaky economy, whether real or imagined. Are you prepared to change in order to survive?